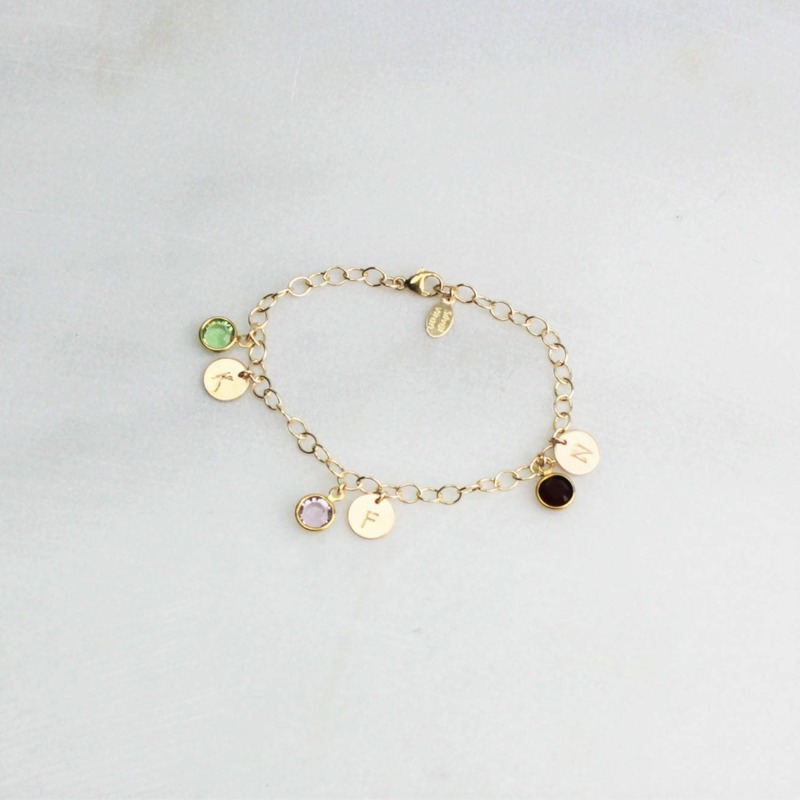 This stunning charm bracelet is both meaningful and stylish. 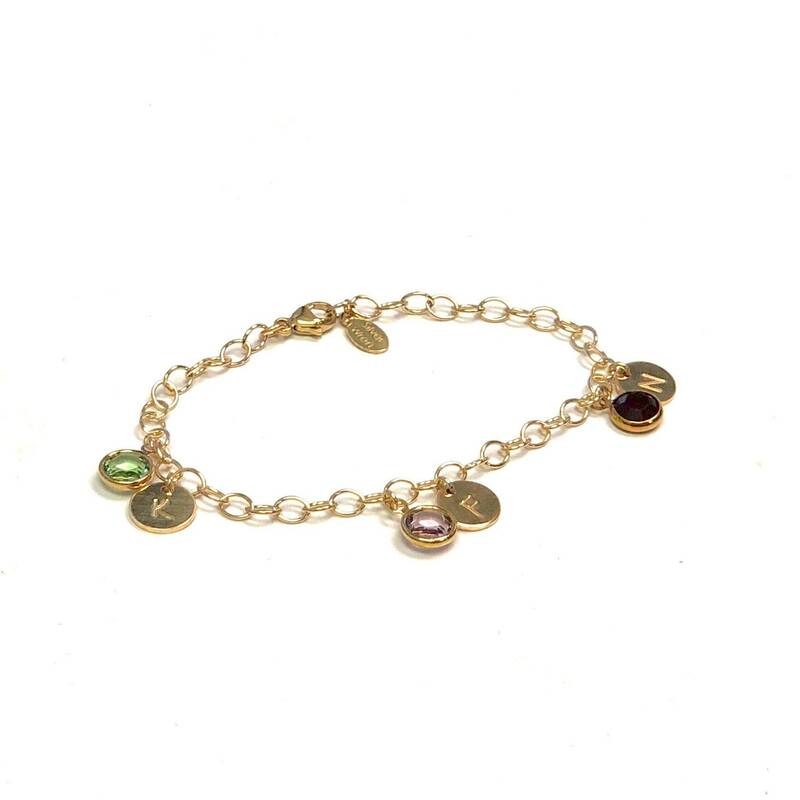 It features an initial disc with a birthstone crystal, choose from 1-6 charm sets. This is available in silver and gold options. Wear one set of charms for each of your special persons! 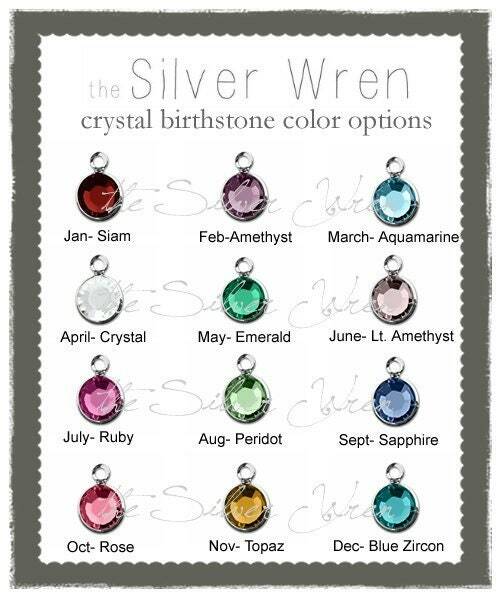 -Swarovski bezel crystals in your choice of birthstone. 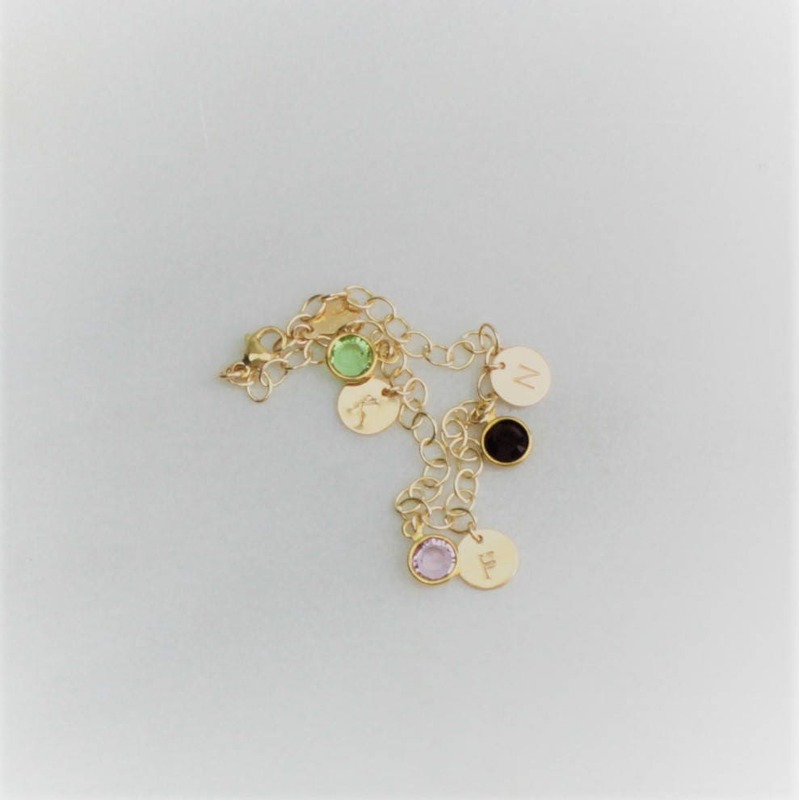 Charm sets include an initial disc and birthstone as a set. -Adjustable for the perfect fit. 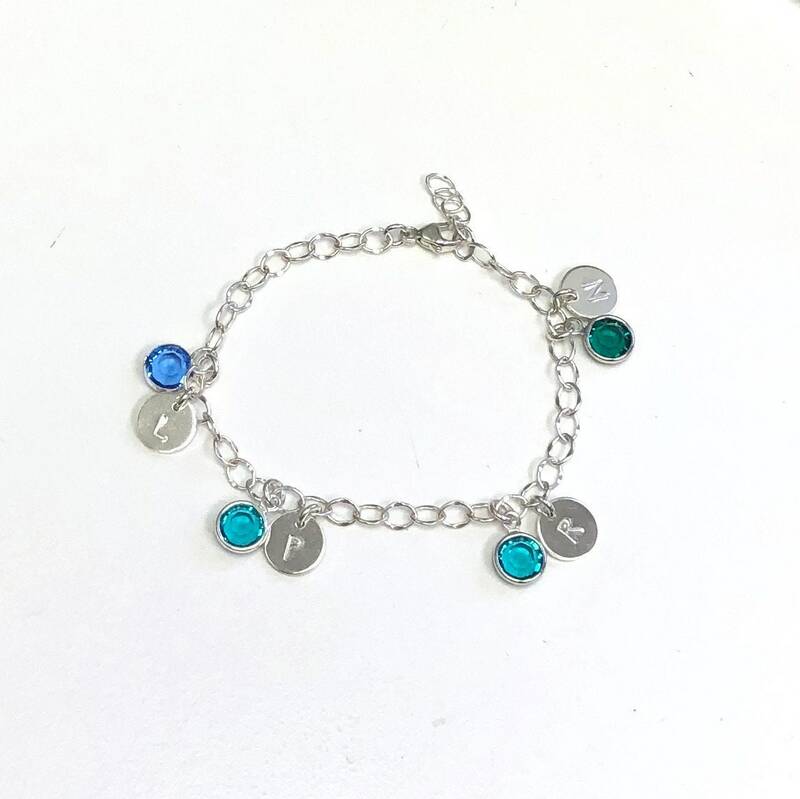 I ordered a bracelet that had all the grandkids first initial and their birth stones and my Mom absolutely loved it. It’s definitely well made and beautiful.